Senior Lecturer, ECSE, Rensselaer Polytechnic Institute, Troy, NY. 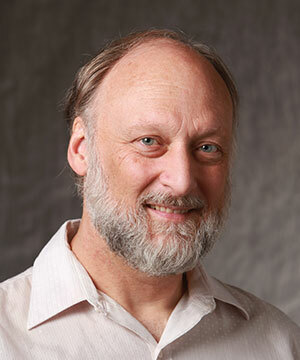 Dr. Kraft is responsible for several courses in ECSE and Core Engineering. With many of the studio and lab courses, there is a continuous demand for updating equipment, software, procedures, objectives, and training of support. Since Feb. 2016 duties have included maintenance and support of the ECSE teaching, research, & private servers and workstation system and its network. R. Clarke, M. R. LeRoy, S. Raman, T. G. Neogi, R. P. Kraft, and J. F. McDonald, “140 Gb/s Serializer Using Clock Doublers in 90 nm SiGe Technology,” IEEE Journal of Solid-State Circuits, vol. 50, no. 11, pp. 2703-2713, Nov. 2015. R. Clarke, P. Jacob, O. Erdogan, P. Belemjian, S. Raman, M. R. LeRoy, T. G. Neogi, R. P. Kraft, D.-A. Borca-Tasiuc, and J. F. McDonald, “Thermal Modeling of 3-D Stacked DRAM Over SiGe HBT BiCMOS CPU,” IEEE Open Access Journal, vol. 3, pp. 43-54, Feb. 20, 2015, doi: 10.1109/ACCESS.2015.2396474. X. Liu, S. Raman, R. Clarke, M.R. LeRoy, O. Erdogan, M. Chu, A. Gutin, R.P. Kraft, and J.F. McDonald, “Design of High Speed Register Files Using SiGe HBT BiCMOS Technology”, IEEE Transactions on Circuits & Systems – II: Express Briefs, vol. 61, no. 3, pp. 178-182, 2014. A. Gutin, P. Jacob, M. Chu, P.M. Belemjian, M. LeRoy, R.P. Kraft, and J.F. McDonald, “Carry Chains for Ultra High Speed SiGe HBT Adders”, IEEE Transactions on Circuits & Systems – I: Regular Papers, vol. 58, no. 9, pp. 2201-2210, 2011. J.-W. Kim, M. Chu, P. Jacob, A. Zia, R.P. Kraft, and J.F. McDonald, “Reconﬁgurable 40 GHz BiCMOS uniform delay crossbar switch for broadband and wide tuning range narrowband applications”, IET Circuits Devices Syst., vol. 5, no. 3, pp. 159 – 169, 2011. M. Chu, R.-J. Guo, K. Zhou, C. You, J.F. McDonald and R.P. Kraft, "A 40GS/s Time Interleaved ADC using SiGe BiCMOS technology," IEEE Journal of Solid-State Circuits, vol. 45, no. 2, pp. 380-390, 2010.